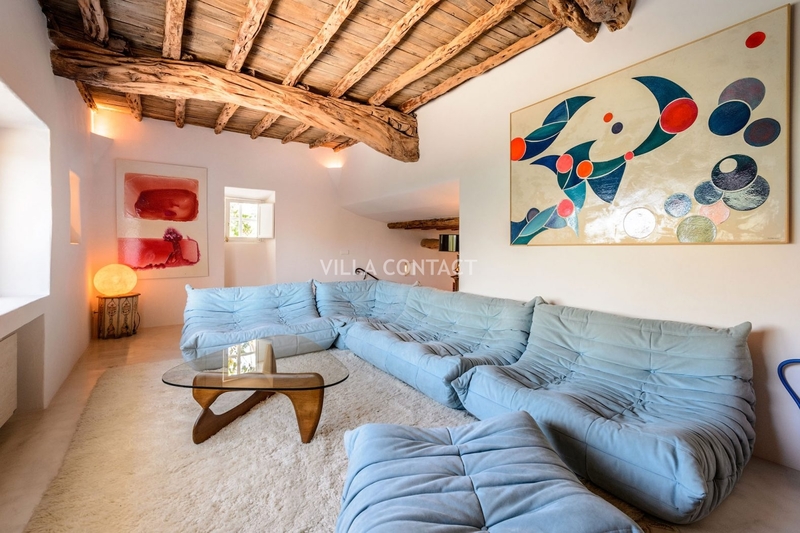 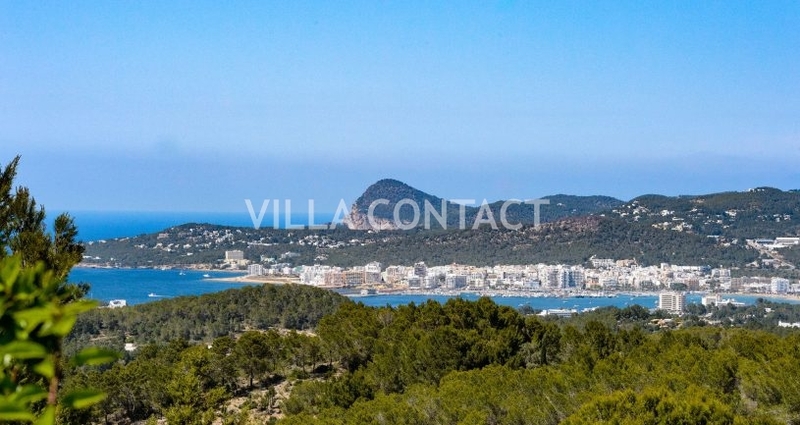 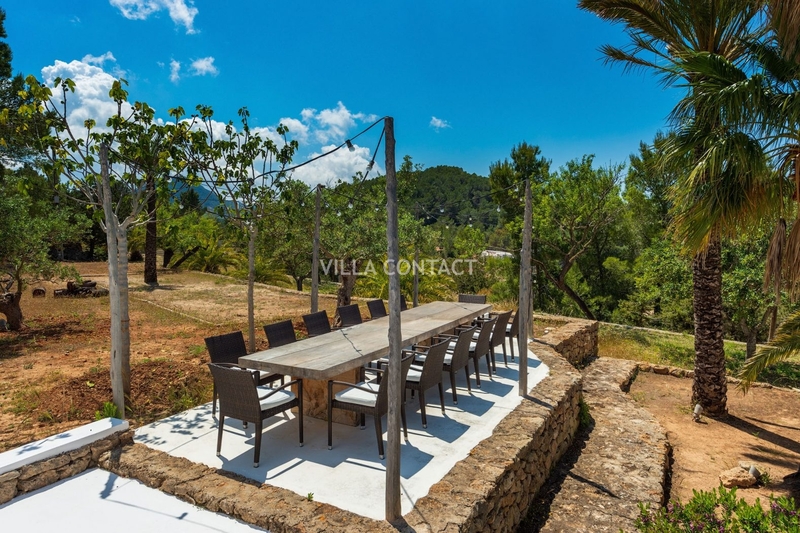 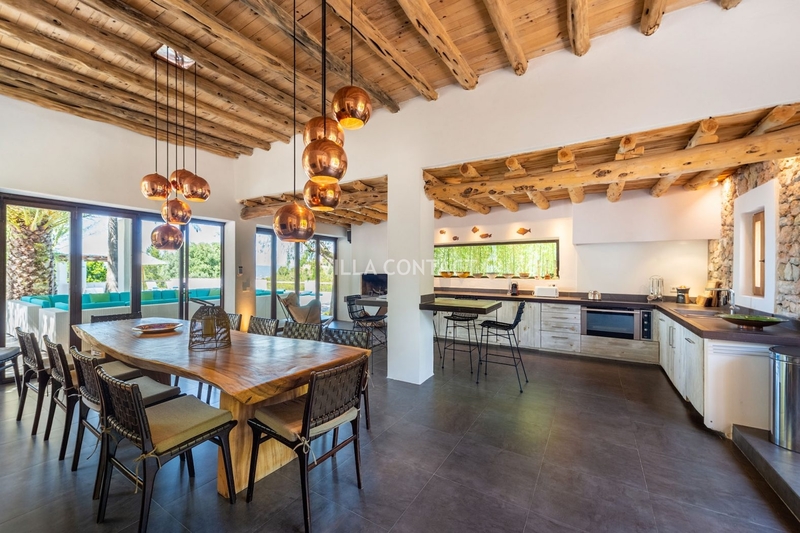 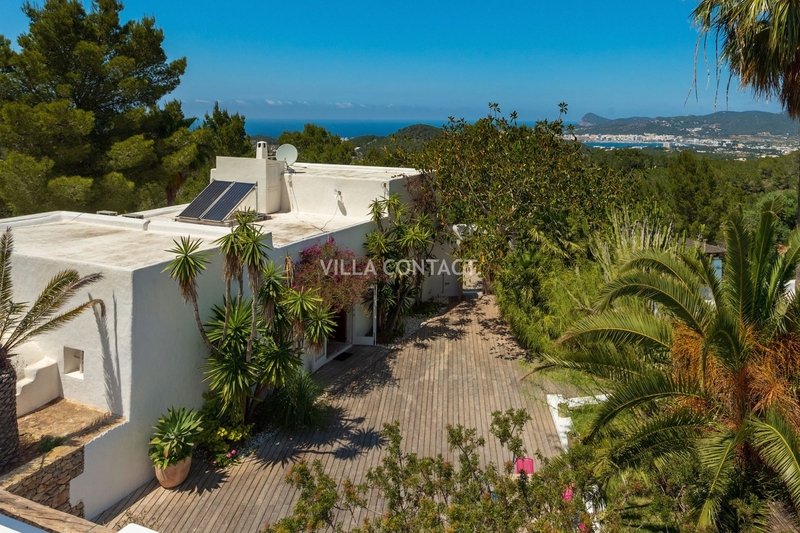 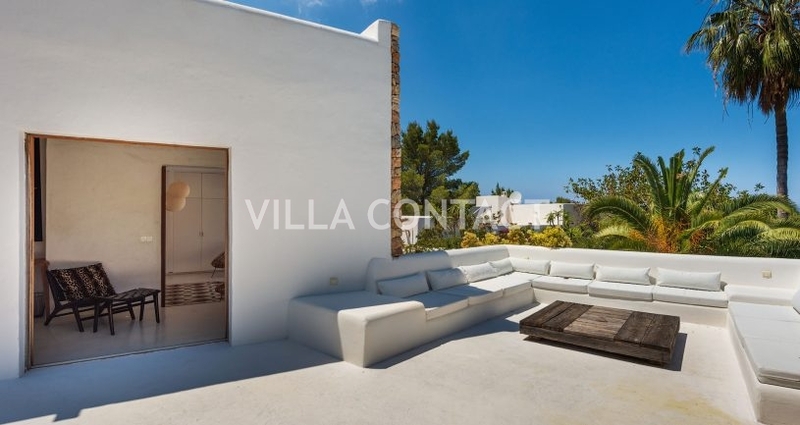 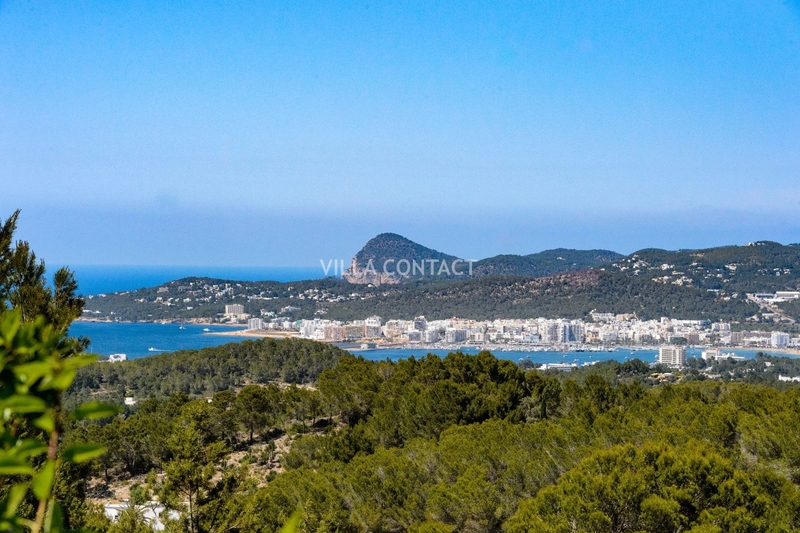 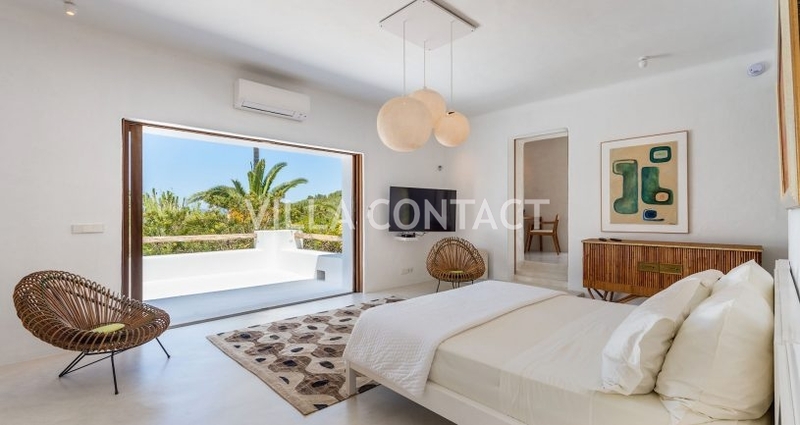 Charming Ibicencan finca with countryside views located a short drive away from the quaint town of San Agustin and the south western beaches of Cala Tarida and Cala Conta. 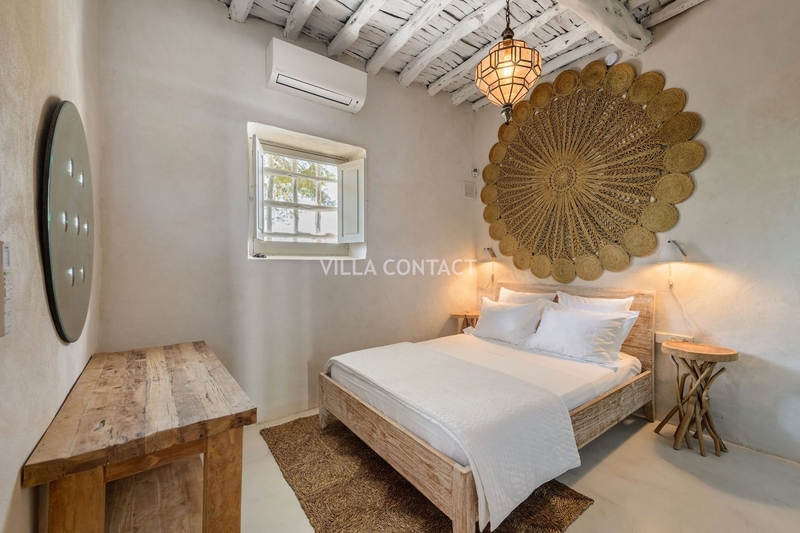 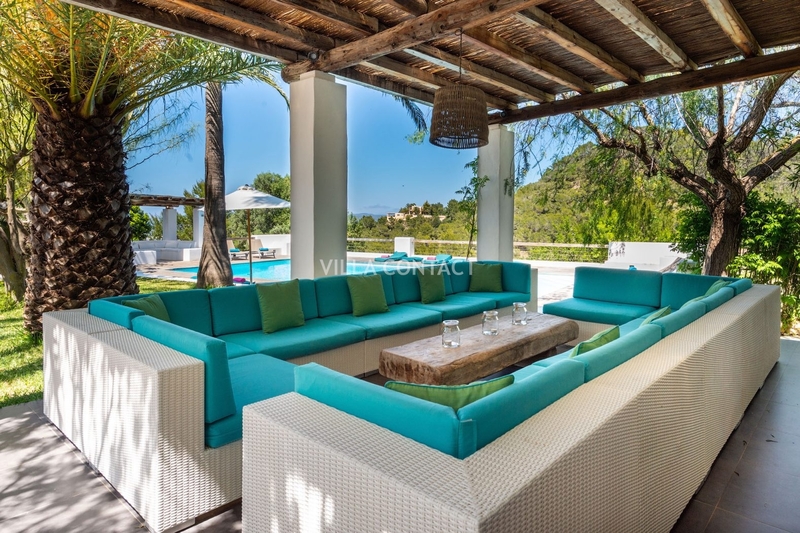 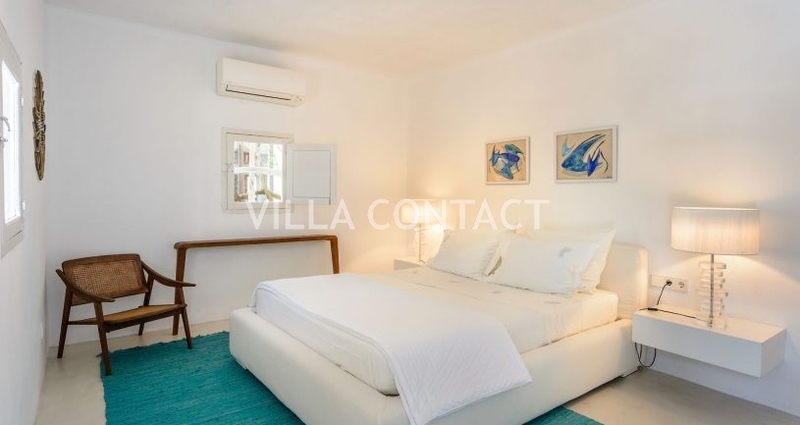 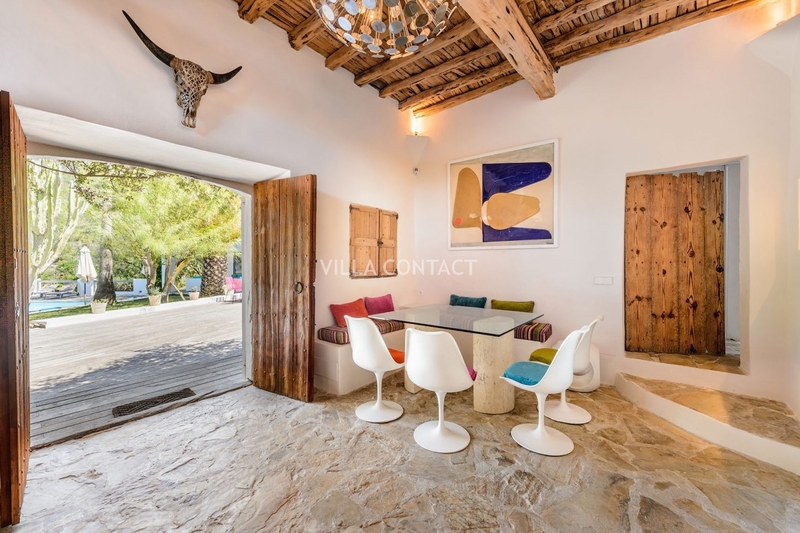 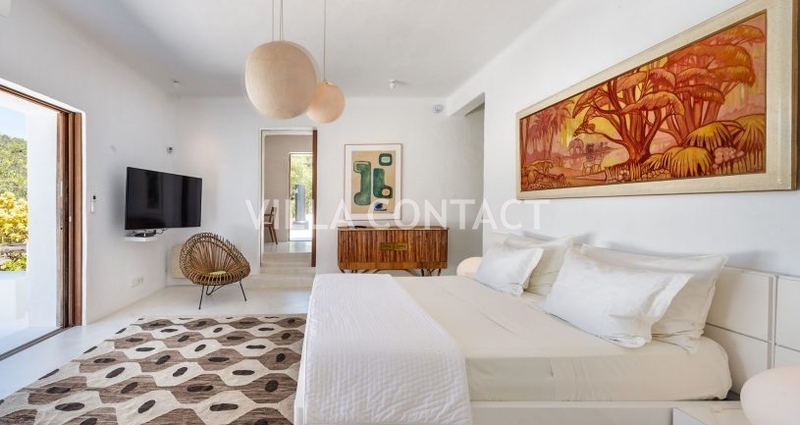 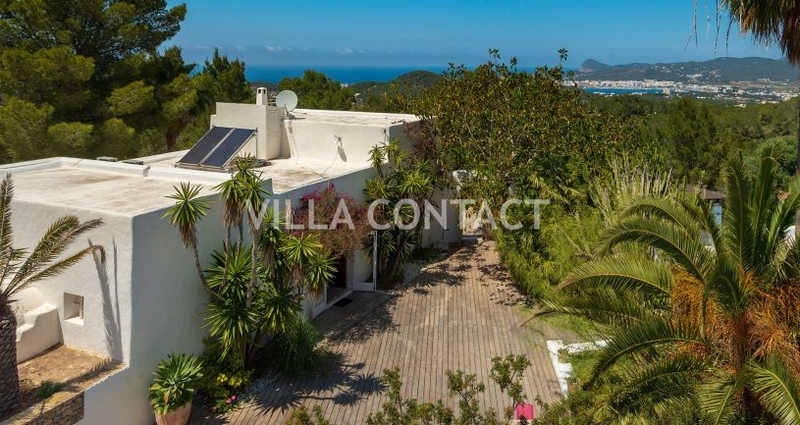 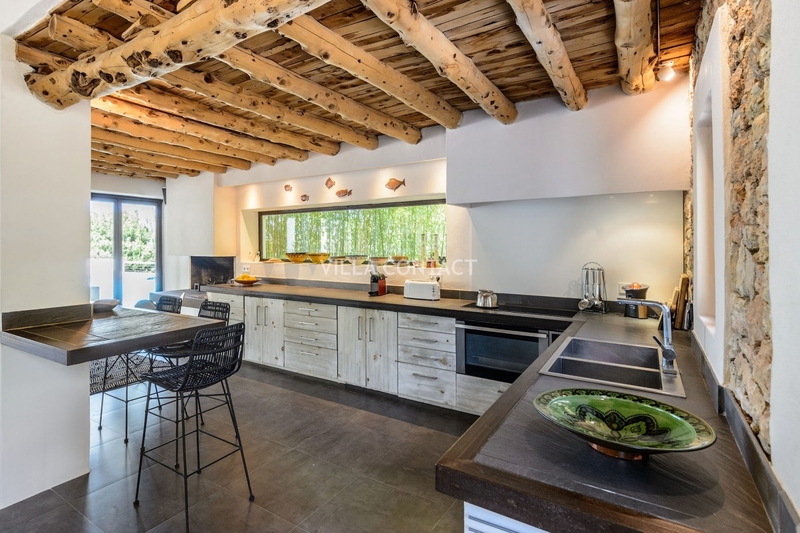 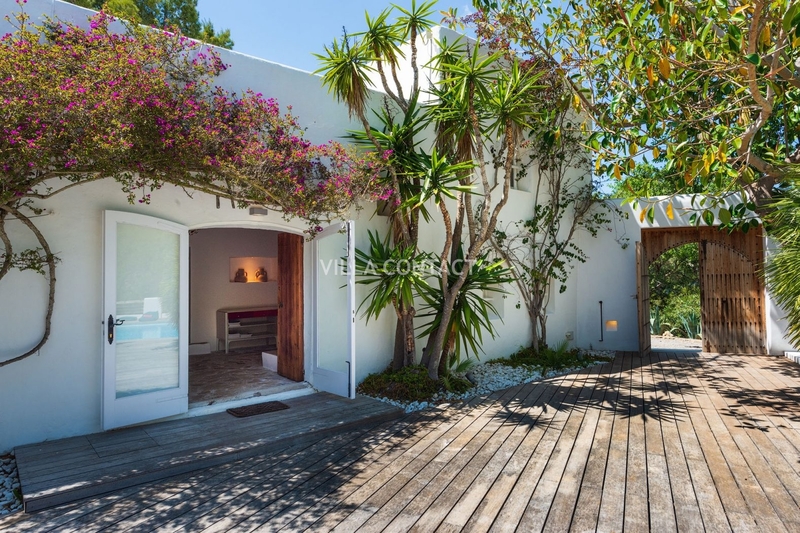 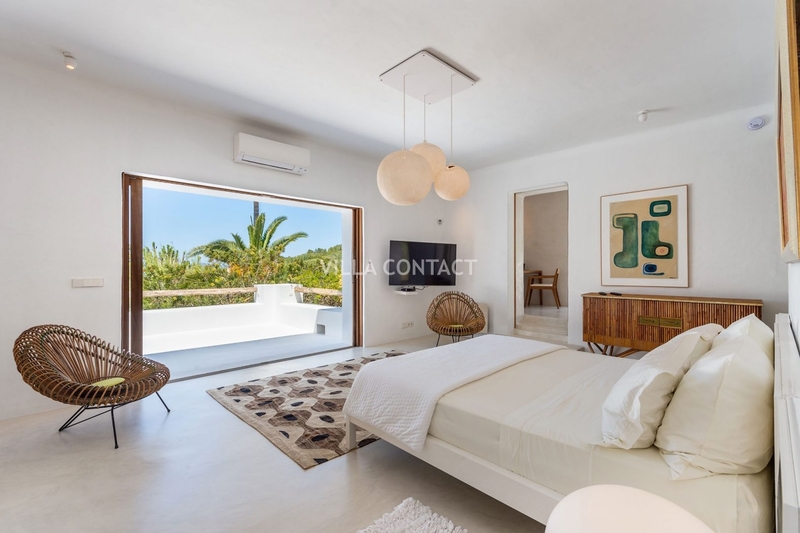 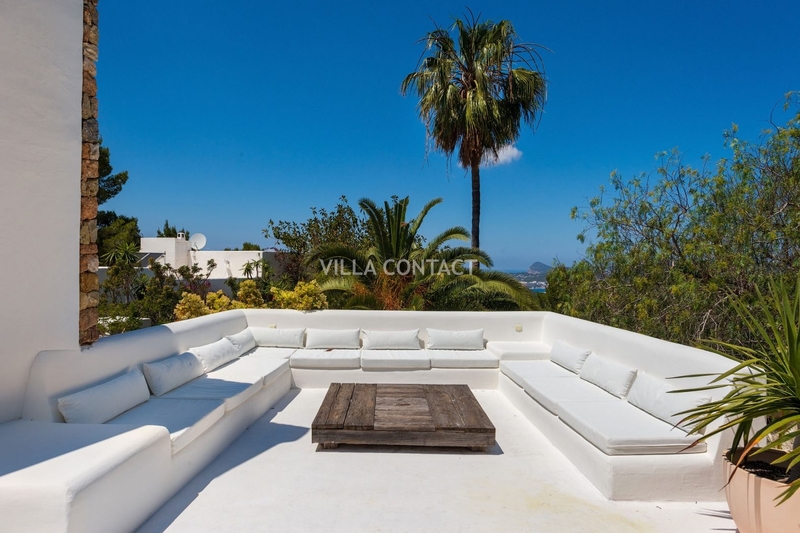 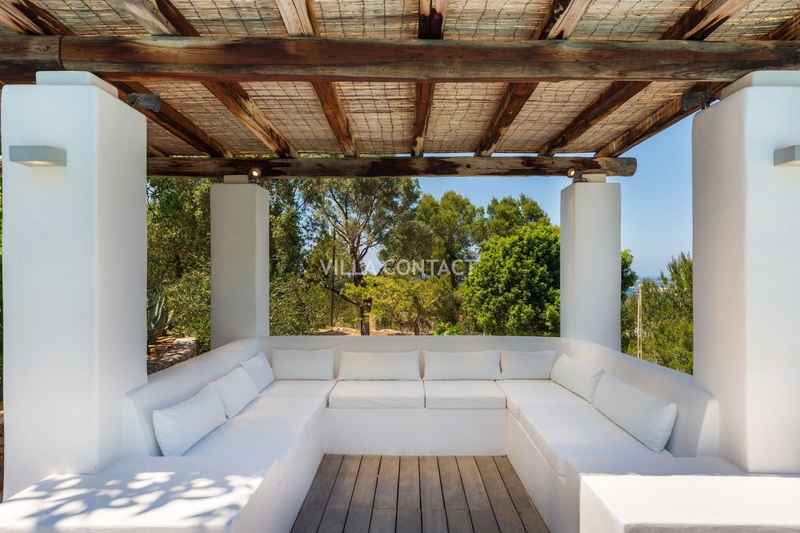 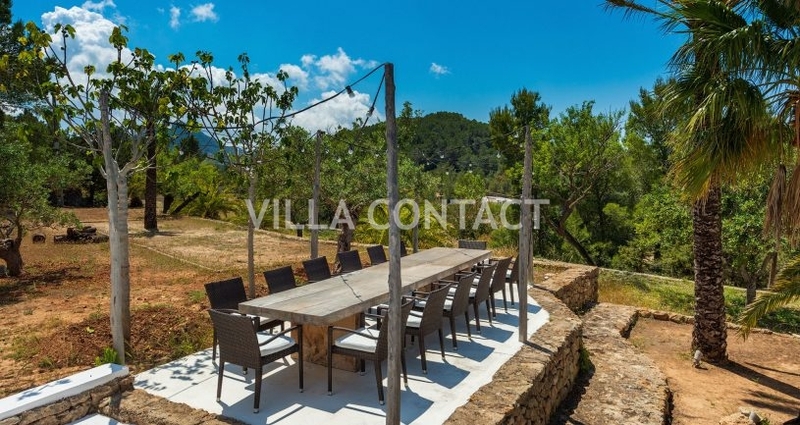 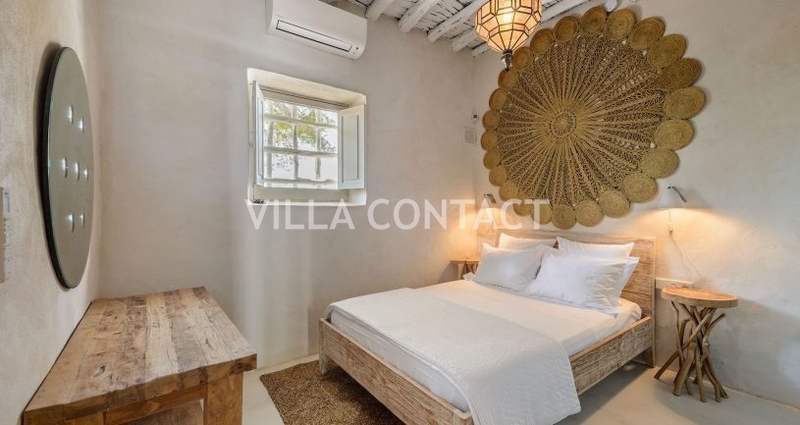 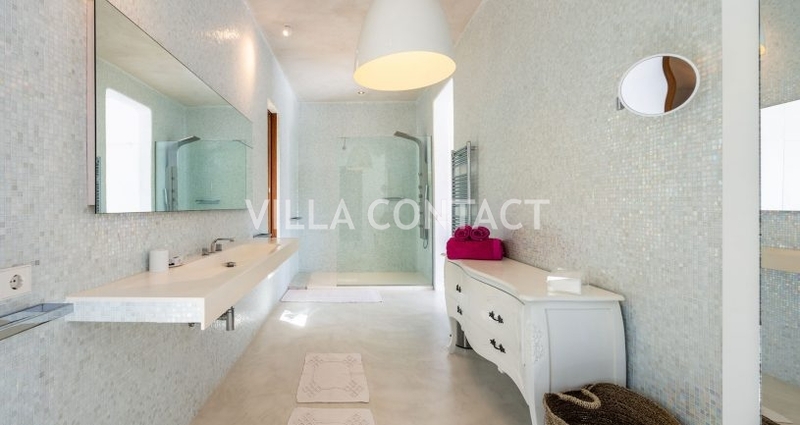 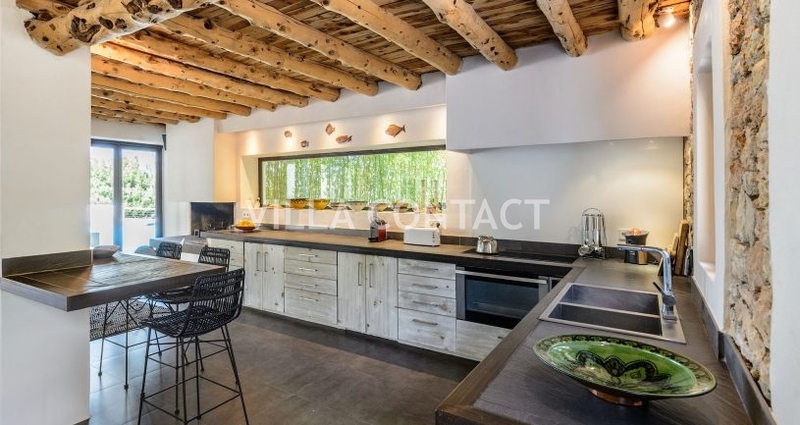 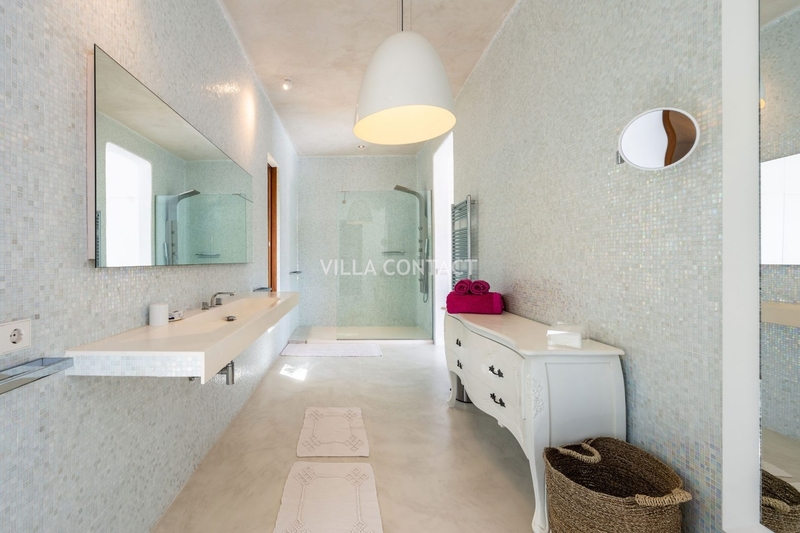 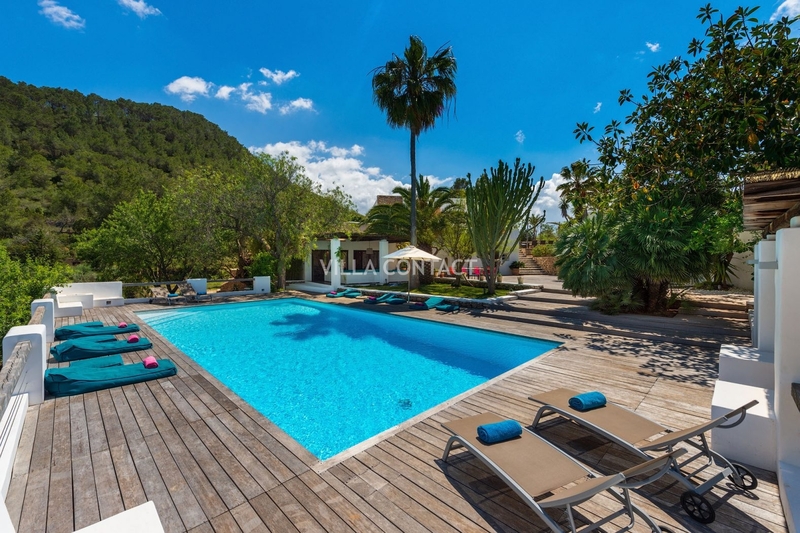 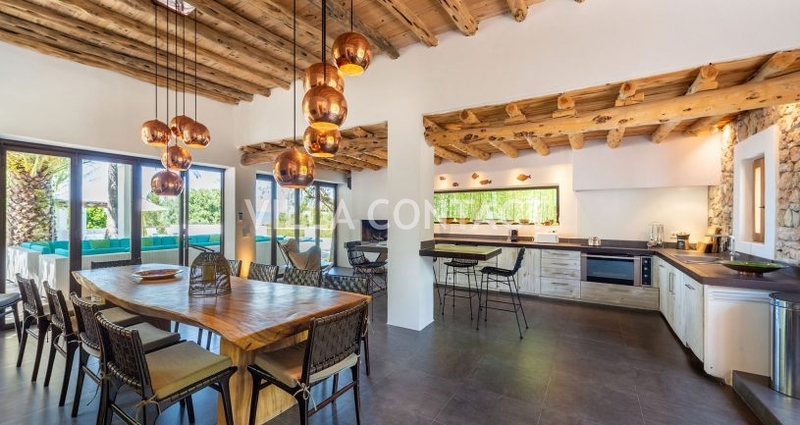 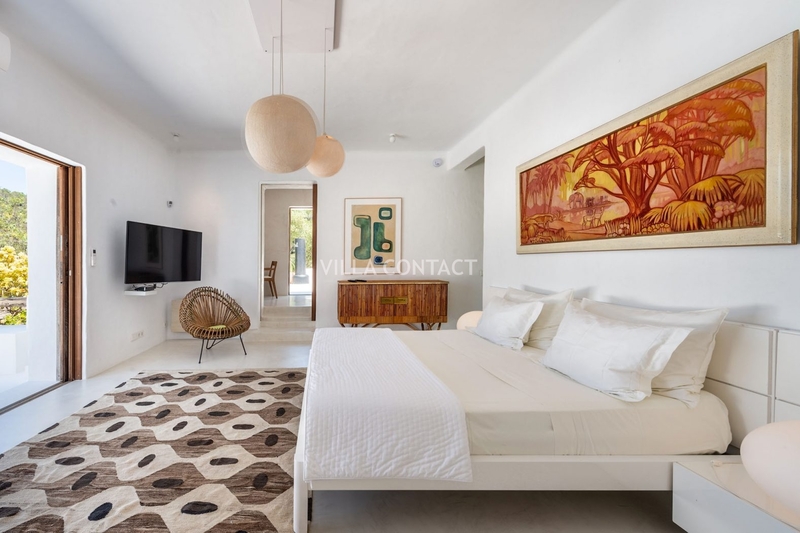 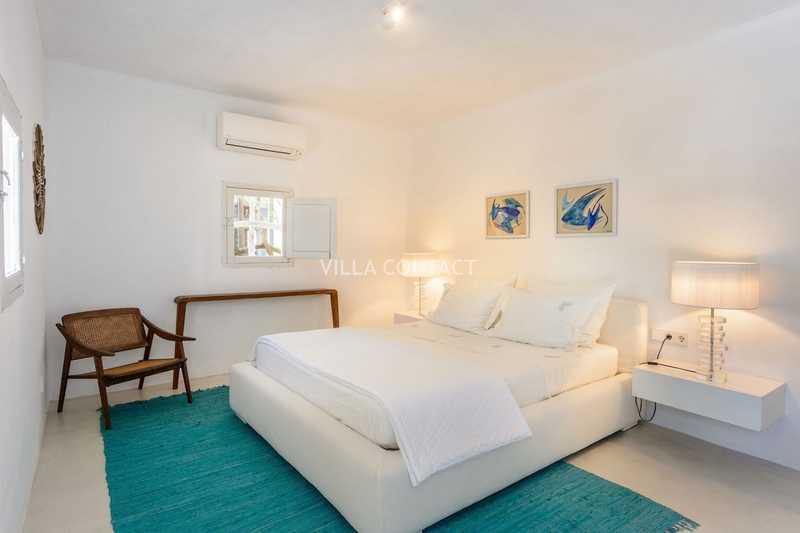 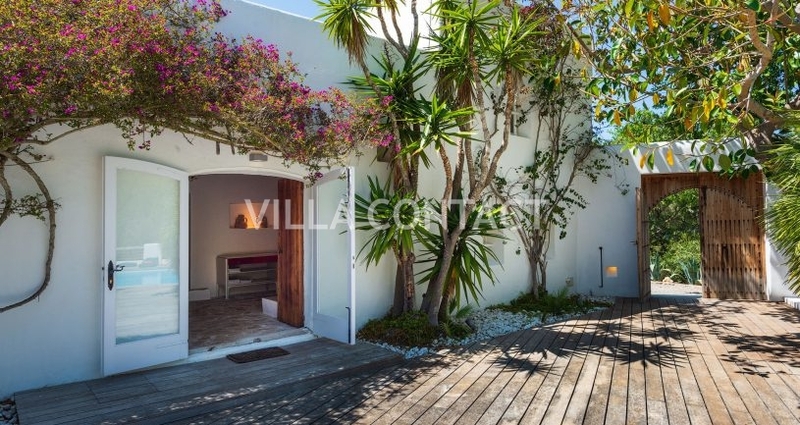 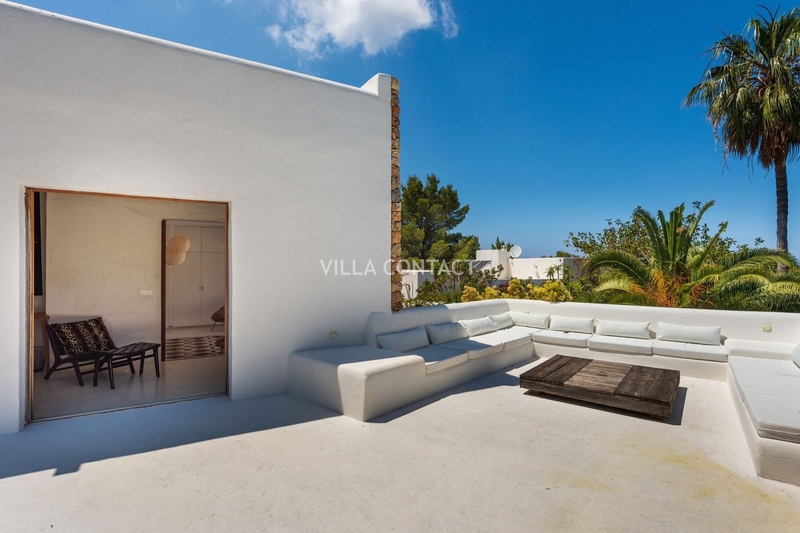 This gorgeous property has been modernized with contemporary comforts and design whilst respecting the traditional style that is true to Ibiza. 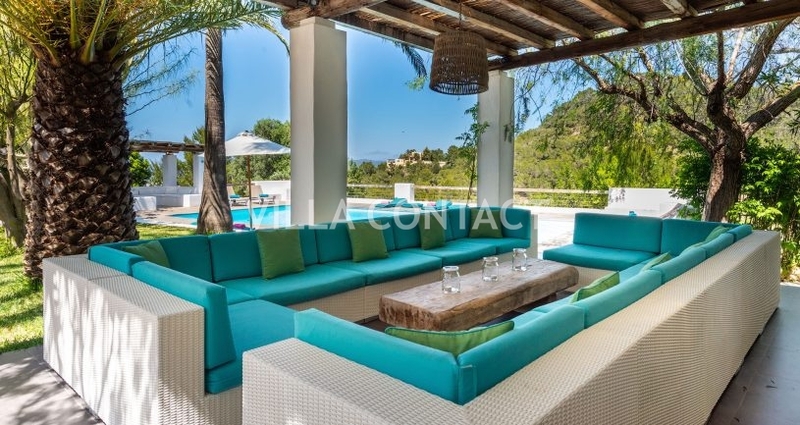 The green gardens and palm trees and large pool deck with country offers the perfect backdrop for a Mediterranean break with friends and family.